My home made Voltage Regulator works but I have an issue with the gas gauge reading a little low because the output is 5vdc. 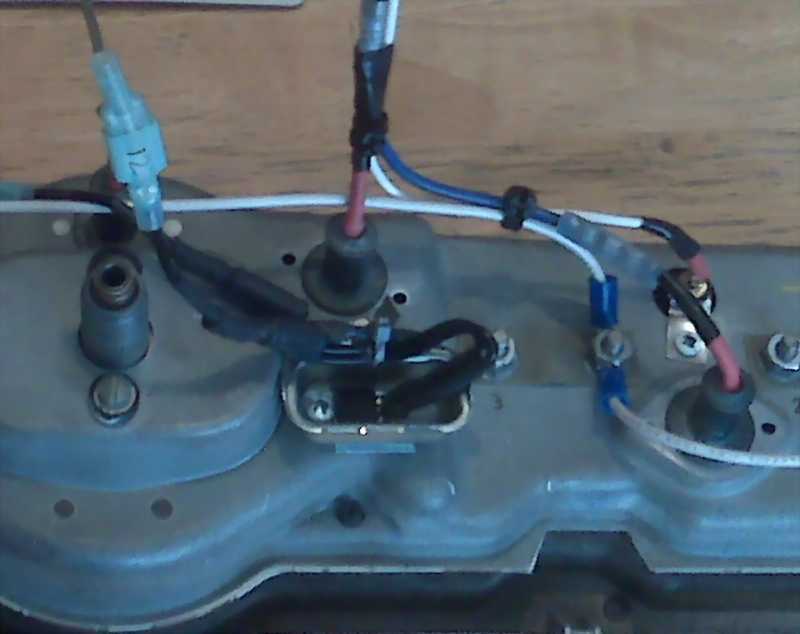 This will also work for all of the gauges if you are looking to change out the Ford Factory voltage Regulator. I tested the IVR and it put out a constant 4.98 volts DC all the way up to a 1 amp load. 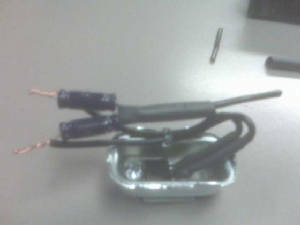 I will put an inline fuse (2 amps) in the circuit in case there is a short. It will be accessible from under the dash. 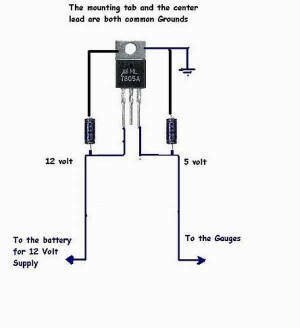 Here is a simple schematic of the circuit. Note the center leg and the tab are both common and used for grounding. I opted to use the tab as ground and cut the center leg off. I felt that the ground being so close to the 12 volt in and the 5 volt out could be a problem. 20 gauge wire is soldered to each leg. Be careful to not to get the legs to hot with the soldering iron. 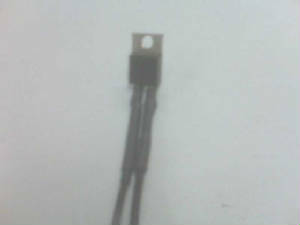 Use a small pair of needle nose as a heat sink on the leg near the body of the regulator. Heat shrink tubing is applied to each leg to insulate and strengthen them. The legs will break if you bend them to much! I found if you shape then and then use a heat gun they will stiffen considerably with the tubing and hold there shape. Heat sink grease is applied to the back side of the regulator (a little goes a long ways) and it is screwed into the case. The heat sink grease can also be purchased at Radio Shack. The wires are looped around and another small hole was drilled in the side. 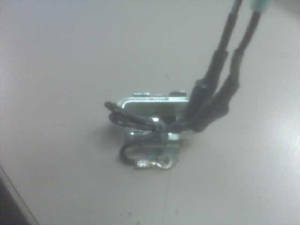 A zip tie was installed as a stress relieve for the wires to keep them from moving. 10.0µF 50V Axial-Lead Non-Polarized Capacitors are soldered to each lead. 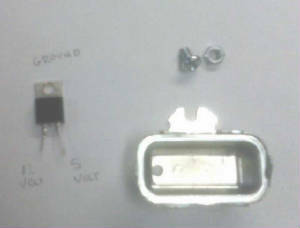 The other end of the capacitors is soldered together and will be connected to the case which is ground. 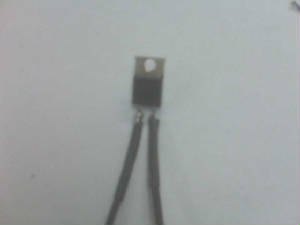 Heat shrink tube is applied to all solder connections. 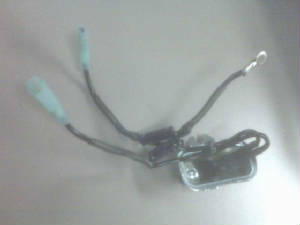 Connectors are applied to the ends of the wires. 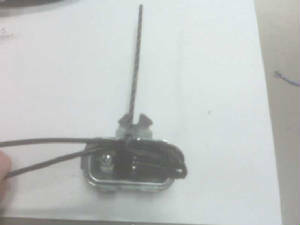 The 12 volt wire has the male spade connector and the 5 volt wire has a female connector. More shrink tubing over the capacitors and a zip tie to hold the ground lead in place. 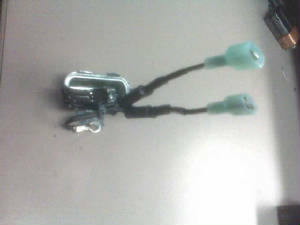 Note the male and female spade connectors. 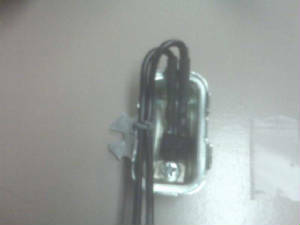 The ground ring connector will mount to the screw that holds the IVR in place on the instrument gauge.